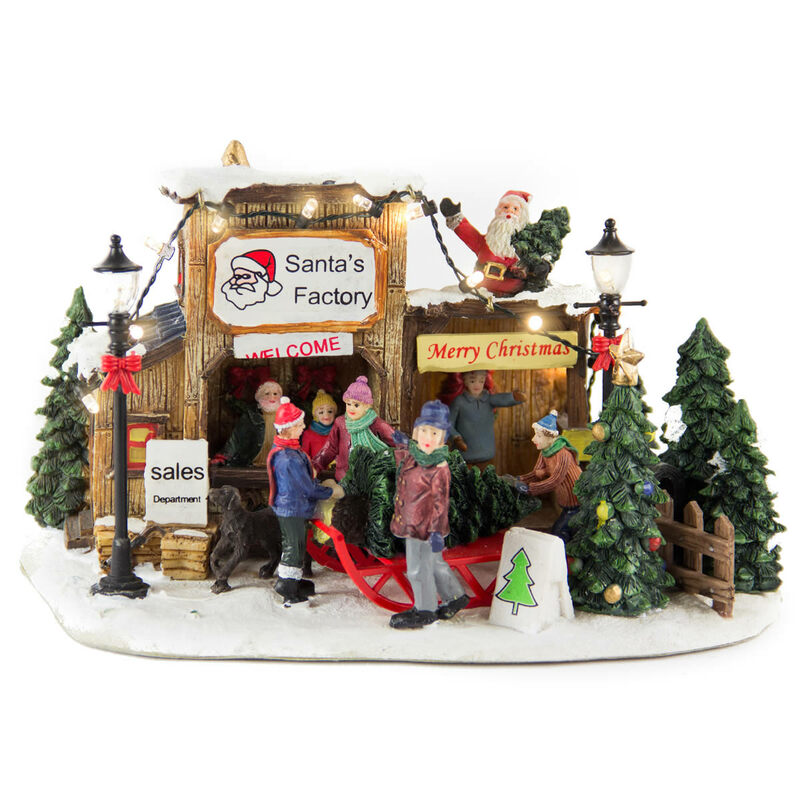 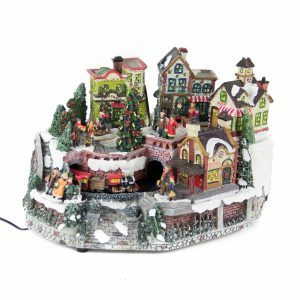 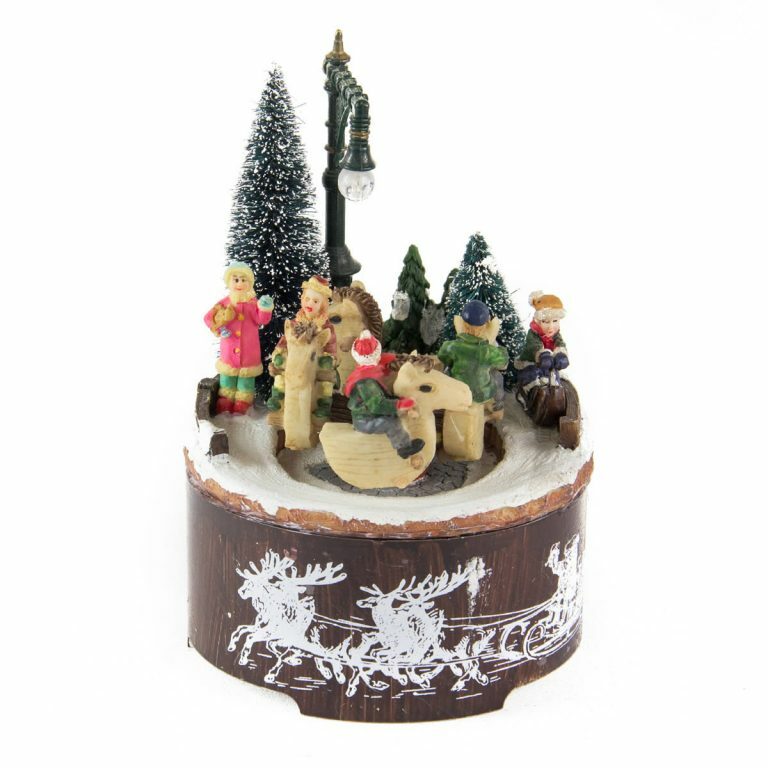 At 41x30x29cm this Christmas Village can be used as a centrepiece for your Christmas table, placed on display on a mantel or in a bay window, or taken to work to spread some Christmas cheer to your workmates. 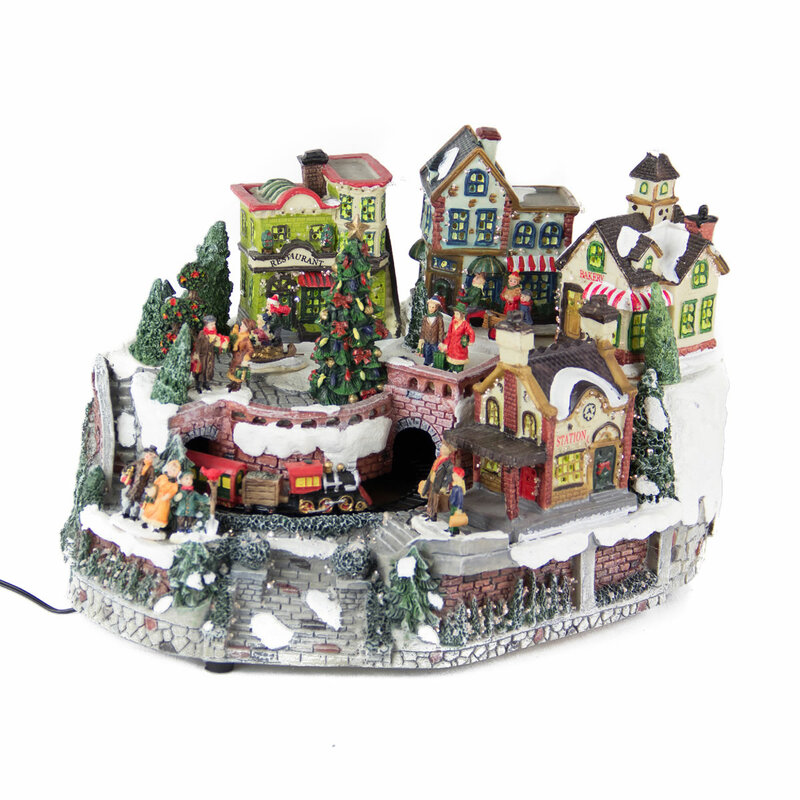 The village has 3 houses and 1 church all painted with great attention to detail .There are figures placed in the circular gardens and on the walkways. 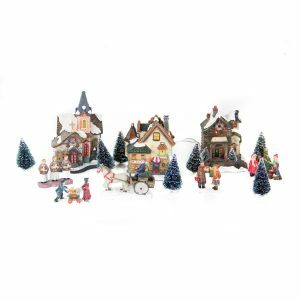 With gorgeous trees, snow and the option to light up the village, this Christmas Village will be a favourite for the festive season.